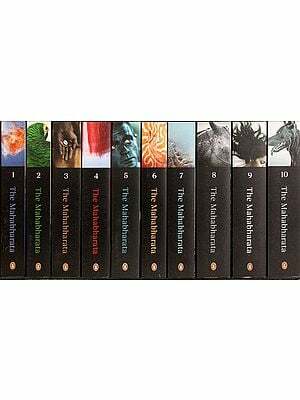 The Mahabharata in its present form is equal to about eight times as much as the Illiad and Odyssey put together. 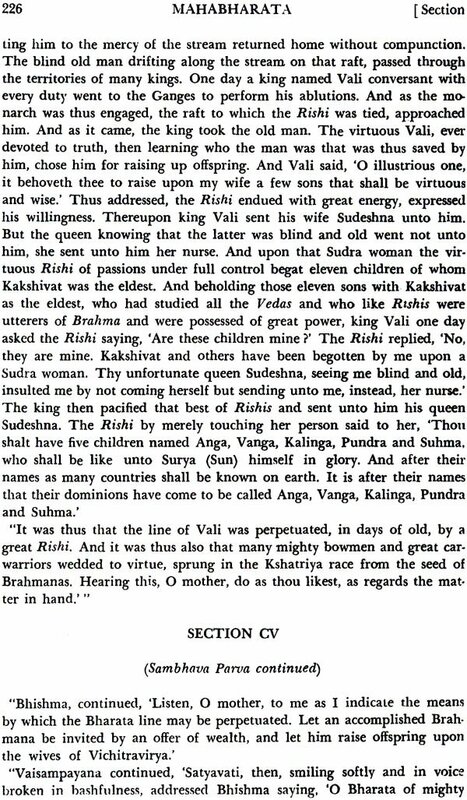 The nucleus of the Mahabharata is the great war of eighteen days fought between the, Kauravas, the hundred sons of Dhritarashtra and Pandavas, the five sons of Pandu. The epic entails all the circumstances leading upto the war. In this great Kurukshetra battle were involved almost all the kings of India joining either of the two parties. 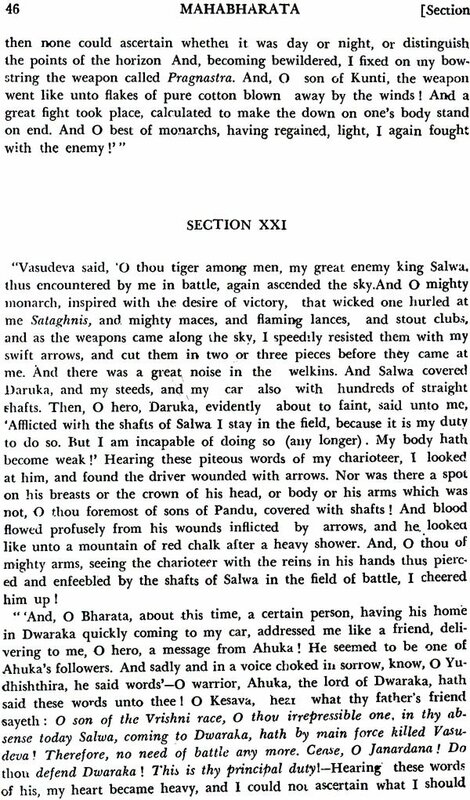 The result of this war was the total annihilation of Kauravas and their party, and Yudhishthira, the head of the Pandavas, became the sovereign monarch of Hastinapura, symbolizing the victory of good over evil. But the progress of the years new matters and episodes relating to the various aspects of hanuman life, social, economic, political, moral and religious as also fragments of other heroic legends came to be added to the aforesaid nucleus and this phenomenon continued for centuries until it acquired the present shape. This very fact that the Mahabharata represents a whole literature rather than one single and unified work, and contains so many and so multifarious things, makes it more suited than any other book of afford us an insight into the deepest depths of the soul of Indian people. In the world of classical literature the Mahabharata is unique in many respects. As an epic, it is the greatest-seven times as great as the Illiad and the Odyssey combined, and the grandest-animating the heart of India over two thousand years past and destined to lead humanity for thousands of years in future. It is the mightiest single endeavour of literary creation of any culture in human history. The effort to conceive the mind that conceived it is itself a liberal education and a walk through its table of contents is more than a Sabbath day's Journey. The translation was completed and serially published in thirteen years from AD 1883 to 1896 in one hundred fasciculi. The original edition was out of print within the lifetime of Mr. Ganguli, and is made available once again. Kisari Mohan Ganguli completed the translation of Mahabharata and serially published in thirteen years from AD 1883 to 1896 in one hundred fasciculi. Ganguli preferred public anonymity till compilation. But from the very beginning though anonymous to the general readers, the authorship of Ganguli was not secret to the numerous oriental scholars and patrons of the enterprise, Indian and foreign with whom he was constantly linked through direct contact or correspondence. The then Central Government also recognised the services of Ganguli as the translator of this great work by conferring the C.I.E. titles and awarding the first Honorary Literary Person for life to him. The object of a translator should ever be to hold the mirror upto his author. That being so, his chief duty is to represent so far as practicable the manner in which his author's ideas have been expressed, retaining if possible at the sacrifice of idiom and taste all the peculiarities of his author's imagery and of language as well. In regard to translations from the Sanskrit, nothing is easier than to dish up Hindu ideas, so as to make them agreeable to English taste. 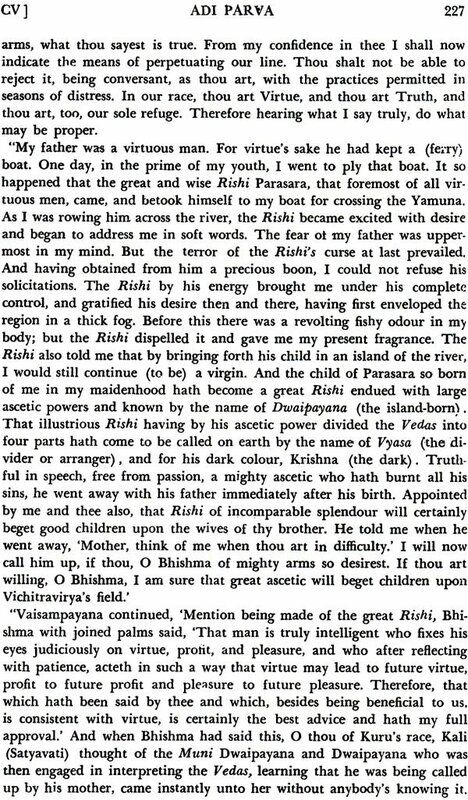 But the endeavourof the present translator has been to give in the following pages as literal a renderingas possible of the great work of Vyasa, To the purely English reader there is much in the following pages that will strike as ridiculous. Those unacquainted with any language but their own are generally very exclusive in matters of taste. Having no knowledge of models other than what they meet with in their own tongue, the standard they have formed of purity and taste in composition must necessarily be a narrow one. The translator, however, would ill-discharge his duty, if for the sake of avoiding ridicule, he sacrificed fidelity to the original. He must represent his author as he is, not as he should be to please the narrow taste of those entirely unacquainted with him. Mr. Pickford, in the preface to his English translation of the Mahavira Charita, ably defends a close adherence to the original even at the sacrifice of idiom and taste against the clairns of what has been called 'Free Translation,' which means dressing the author in an outlandish garb to please those to whom he is introduced. In the preface to his classical translation of Bhartrihari's NitiSatakamand Vairagya Satakam, Mr. C.H. Tawney says, "I am sensible that in the present attempt I have retained much local colouring. For instance, the ideas of worshipping the feet of a god of great men, though it frequently occurs in Indian literature, will undoubtedly move the laughter of Englishmen unacquainted with Sanskrit, especially if they happen to belong to that class of readers who revel their attention on the accidental and remain blind to the essential. Buta certain measure of fidelity to the original even at the risk of making oneself ridiculous, is better than the studied dishonesty which characterises so many translations of oriental poets." We fully subscribe to the above although, it must be observed, the censure conveyed to the class of translators last indicated is rather undeserved, there being nothing like a 'studied dishonesty' in their efforts which proceed only from a mistaken view of their duties and as such betray only an error of the head but not of the heart. 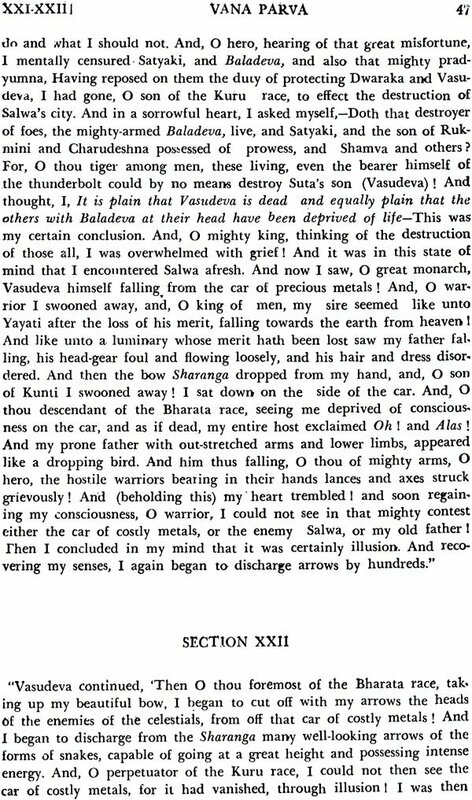 In the world of classical literature the Mahabharata is unique in many respects. As an epic, it is the greatest-seven times as great as the Iliad and the Odyssey combined, and the grandest-animating the heart of India over two thousand years past and destined to lead humanity for thousands of years in future. It is the mightiest single endeavour of literary creation of any culture in human history. The effort to conceive the mind that conceived it is itself a liberal education and a walk through its table of contents is more than a Sabbath day's journey. The Western world was long acquainted with the epic rather superficially through the transcribed fragments of Bopp, Fauche, Romesh Dutta, Monier- Williams, etc. : But the task of making it fully accessible for the first time to men of this age fell upon late Kisari Mohan Ganguli towards the end of the nineteenth century. Dr. Reynold Rost of India Office Library incidentally wrote about the crying need for an English version, complete and authentic, of the original Mahabharata to Mr. Pratap Chandra Roy, a leading bookseller and publisher of Calcutta in those days renowned for publishing ancient Indian classics. He was almost dissuaded from the mighty project for its fantastic difficulties. As Mrs. Sundari Bala Roy, the widow of Pratap Chandra Roy, wrote elsewhere, "Some said it was impossible, some said it was offensive to Hindu religion. When my husband approached Pandit Iswara Chandra Vidyasagar, he laughed outright and doubted my husband's sanity- Whence was the money to come? Where could a competent translator be had having such patience, if uniformity of style was to be secured?-was his remark. Now that the works have been completed. alas, where are both my husband and Vidyasagar today?" The translation was completed and serially published in thirteen years, from AD 1883 to 1896, in one hundred fasciculi. Those covering first fourteen 'Parvas' were published by Pratap Chandra Roy and the last four 'Parvas' by his widow Mrs. Sundari Bala Roy after his death. Considering the unique nature of the undertaking, vast and difficult beyond conception and baffling all similar attempts' previously made by others both in India and abroad, Ganguli preferred public anonymity till completion. Accordingly the fasciculi were published initially withholding the translator's name and finally declaring the same in the last fascicule both by Mrs. Roy as its publisher and Ganguli as the sole translator. But from the very beginning though anonymous to the general readers, the authorship of Ganguli was not secret to the numerous Oriental scholars and patrons of the enterprise, Indian and foreign with whom he was constantly linked through direct contact or correspondence. The then Central Government also recognised the services of Roy as the publisher and of Ganguli as the translator of this great works by conferring the C.I.E. title and awarding the first Honorary Literary Person for Life to them respectively. The original edition was out of print within the lifetime of Ganguli. First Mr. Roy and then Mrs. Roy had already died without any issue; and Ganguli did not live too long to arrange for the publication of another edition. It now transpires that during the second decade of last century a publishing concern of Calcutta printed and published, in the most irresponsible manner, a new edition ignoring the authorship of Ganguli and describing P.C. Roy as the translator with much distortions and mutilations of the original edition. From them it passed to another concern in the same form, from whom at last we took the responsibility of publishing it. But unfortunately we committed out of inadvertence the same blunders as our predecessors. Very recently our attention was drawn by the translator's heir to the incongruities in our publication; and after going through the original edition in the National Library, Calcutta, and having been convinced that gross injustice was being done to the honour of the noble soul of the departed author, we have promptly arranged to publish anew, with true authorship and necessary rectifications, this world-famous work in its original from.